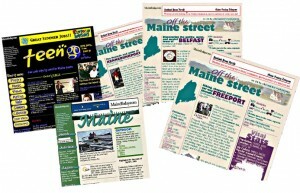 Writing, design and web development for online travel magazines and special interest websites for MaineToday.com (1997-2000). Projects included photography, audio/video capture and production, and QTVR to provide an all-encompassing user experience. One of if not the only first interactive Maine online travel magazine, Destination: Maine, included both the factual and fun elements to visiting and living in Maine. The special yearlong monthly project, Off the Maine Street, was created, developed and maintained by Ellen Kanner. It included a visit to a unique place in Maine with write up and audio by Melissa Kim, and photography, development, video and QTVR by Ellen. The 12 month project ventured into the far corners of Maine to discover the “true Maine” and the pair traveled to places north and south, west and Downeast.